I’m going to report this fact, though it hurts me to do so: in a recent Pew study, 24% of US adults said they had not read a book in the last year. (Okay, let’s look at the bright side… that means 76% of us have read a book in the past year!) However, not making or having time for reading is taking a toll on us beyond just missing out on the cultural zeitgeist—we’re robbing ourselves of some serious physical, social, and emotional benefits as well. There are several studies detailing how reading is good for humans. Not just reading nonfiction to educate yourself about a certain subject, but LEISURE reading. Yes, you heard me right—leisure reading. Romance, mystery, urban fantasy, literary fiction, westerns. All of the above and more. Leisure reading does a number of things for you that you may not realize. The act of reading decreases your stress and anxiety (okay, maybe a little less if it’s Stephen King) and can even reduce depression. Reading increases your empathy and feelings of being able to relate to other humans. It helps keep your brain sharp as you age and may decrease your chances for Alzheimer’s. It increases your understanding of cultures and people that you might normally think of as “the other” and widens your horizons. Reading even improves thinking and communication skills, and goodness knows we could use more of that right now. Libraries can enhance those benefits by connecting you to a larger local community of readers. 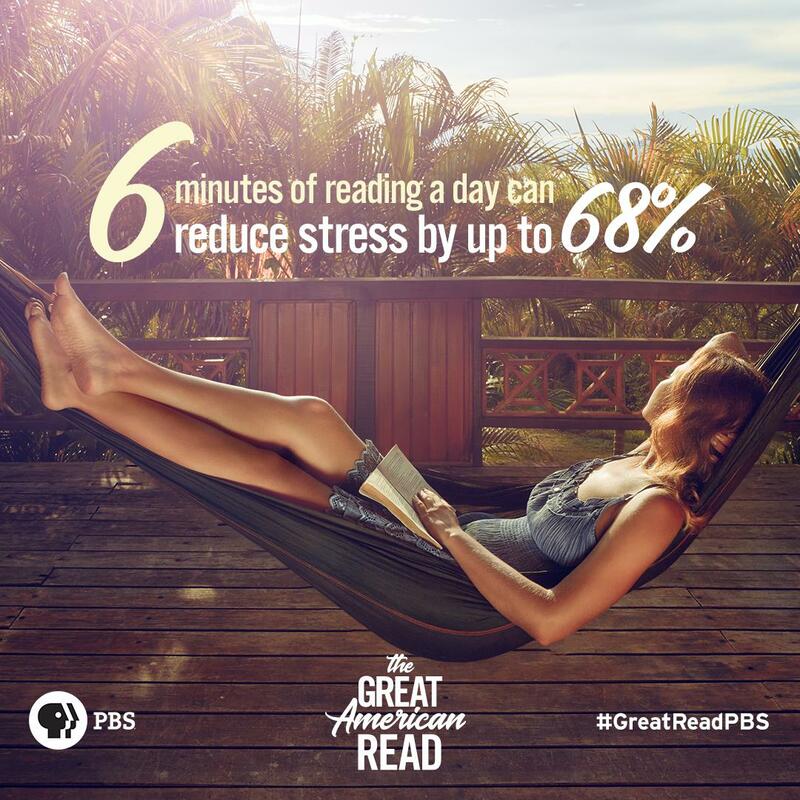 We do that at LPL through book clubs and other programming, but for the next several months, PBS’s The Great American Read is putting you in conversation about your best-loved books with the entire United States of America. That’s right, all the peoples, everywhere, talking about books. I’ve always been a PBS fan, from my early years watching Mr. Rogers and Sesame Street, all the way to the latest incarnation of Sherlock. 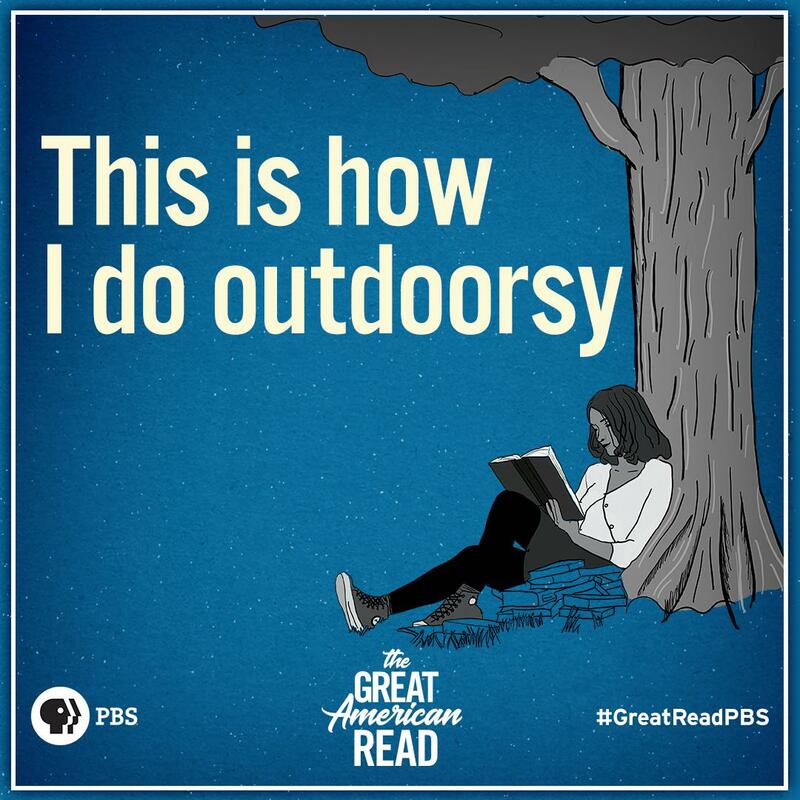 But honestly, PBS has outdone themselves with the creation of The Great American Read, which aired on May 22nd, and gave wings to this librarian’s heart. If you missed it, you can watch here. 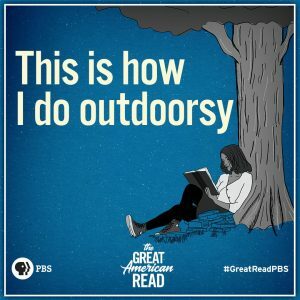 Here’s the rundown: The Great American Read is a series that kicked off in May and will resume again in the fall for a total of eight episodes about books and reading. PBS conducted a study from a sample of Americans, weighted for age, gender, and ethnicity. From this sample, they compiled the 100 best-loved-books in America. Over the course of the series, people will discuss the various books chosen and some themes in literature, all leading to the final episode, where WE THE VIEWERS will choose the number one best-loved book. Libraries around the country will host viewing and discussion events (including LPL - the dates will be available later this summer). Over the summer, the library will use our social media channels and in-house conversations to keep folks talking about The Great American Read, and more importantly, keep people voting for their favorite of the 100. Catch us on social media and let us know who you’re voting for - make your arguments and convince us! We’ll be doing the same. Yours Truly will be voting for The Color Purple, Beloved, Outlander, Ready Player One, The Martian, The Book Thief and more. With this, vote early and often is actually a thing—you can vote once a day at the PBS website or on social media, from now until the final episode on October 23rd that will reveal The Best Loved Book in America. I don’t know if I can adequately express how it felt on May 22nd to see people live tweeting about books. Not TV, sports, movies or celebrities—about reading. About their favorites and whether or not the list of 100 was good and who they would be voting for and which one they thought could go all the way. I’m indebted to PBS for working to increase the health and well-being of our nation by encouraging folks to pick up a book, read for pleasure, and connect with fellow humans over our greatest human evolutionary achievement: the ability to create, record, and read stories across space and time. It’s a miracle, really, and it’s all right here at your fingertips. -Polli Kenn is the Reader Services Coordinator at Lawrence Public Library.